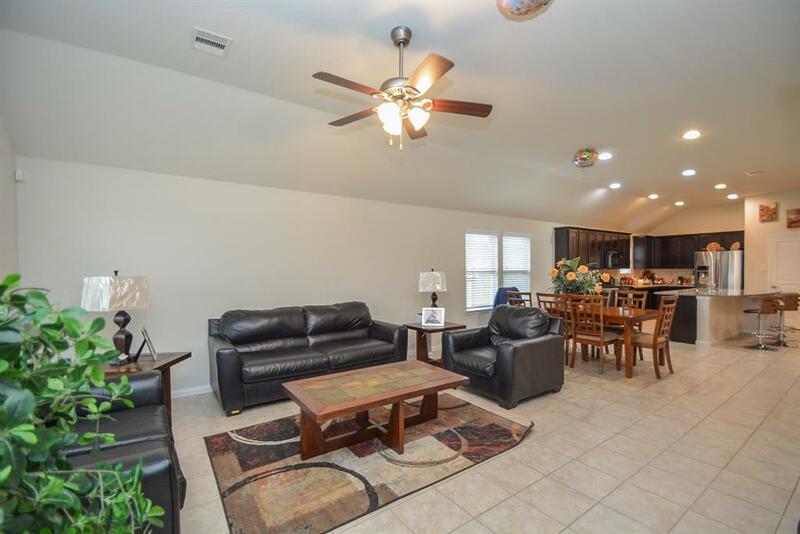 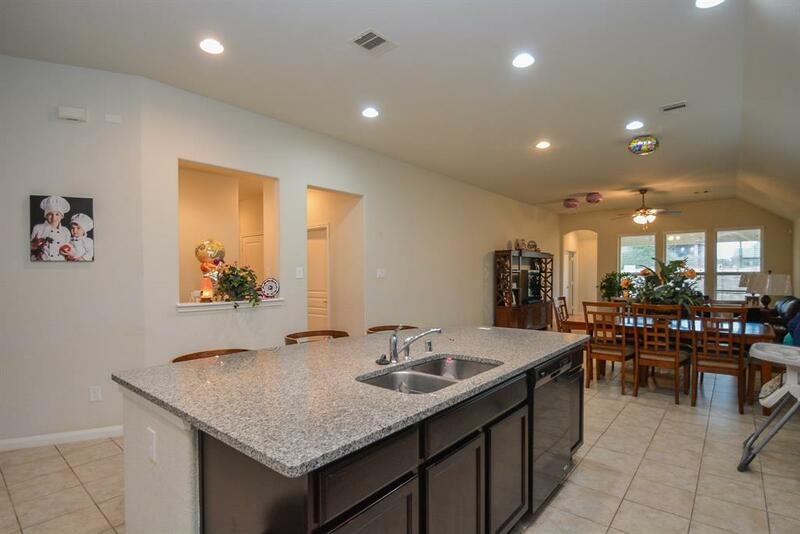 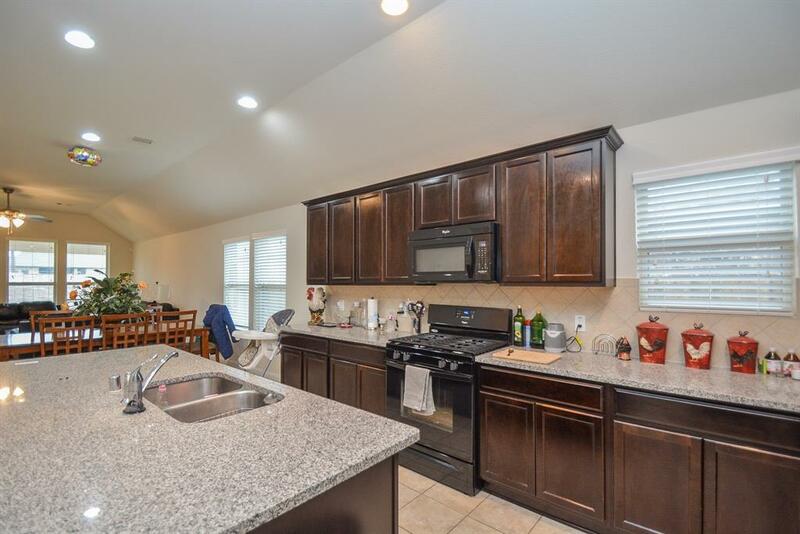 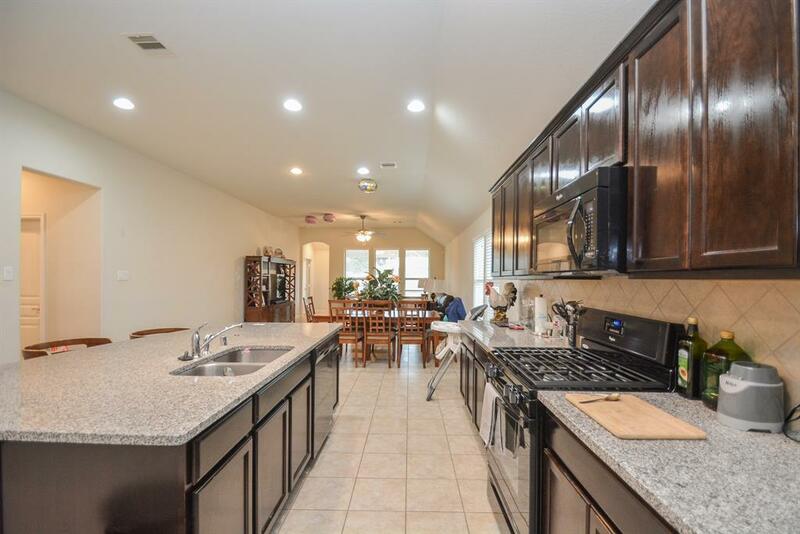 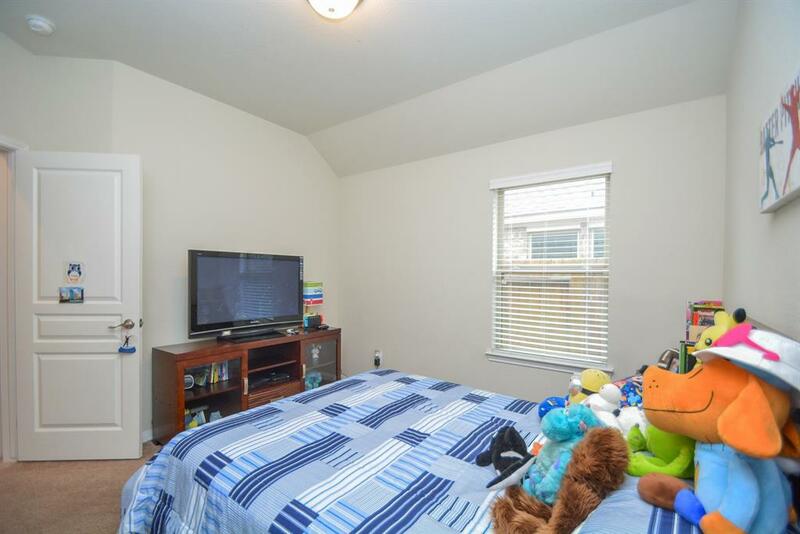 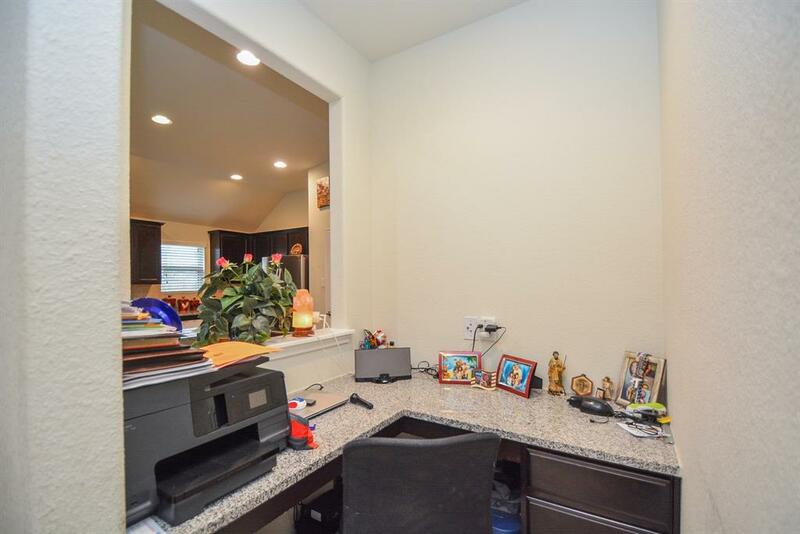 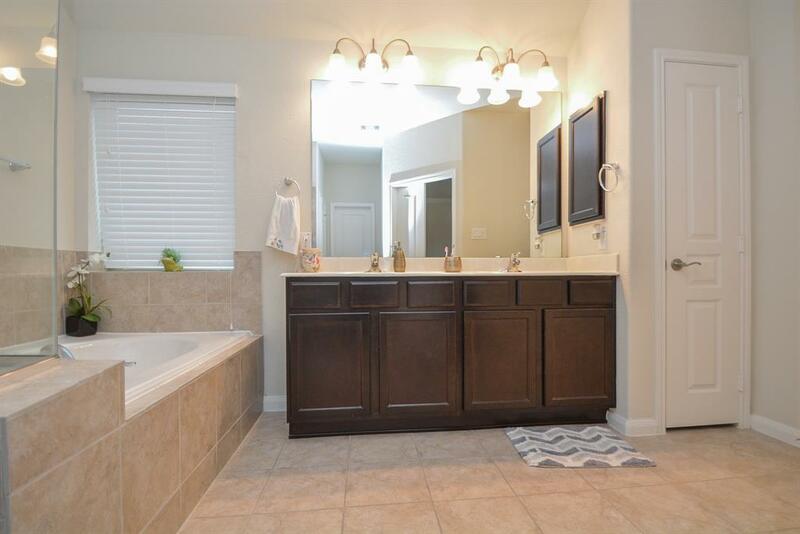 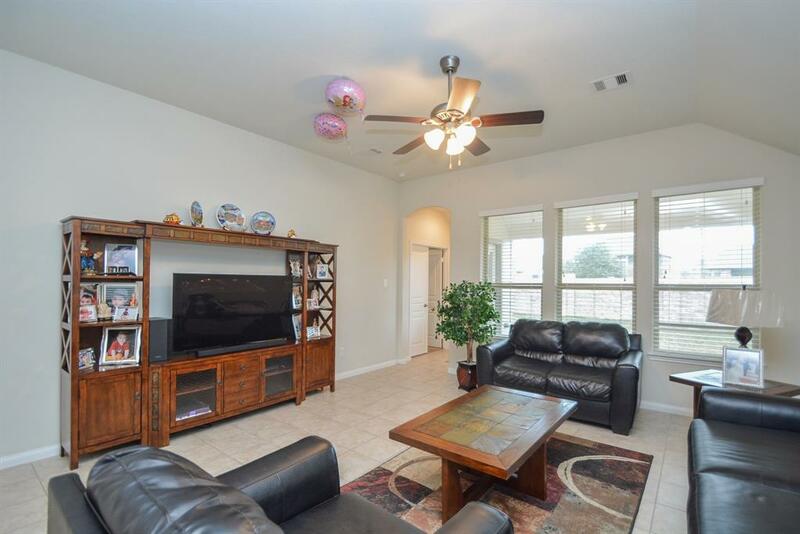 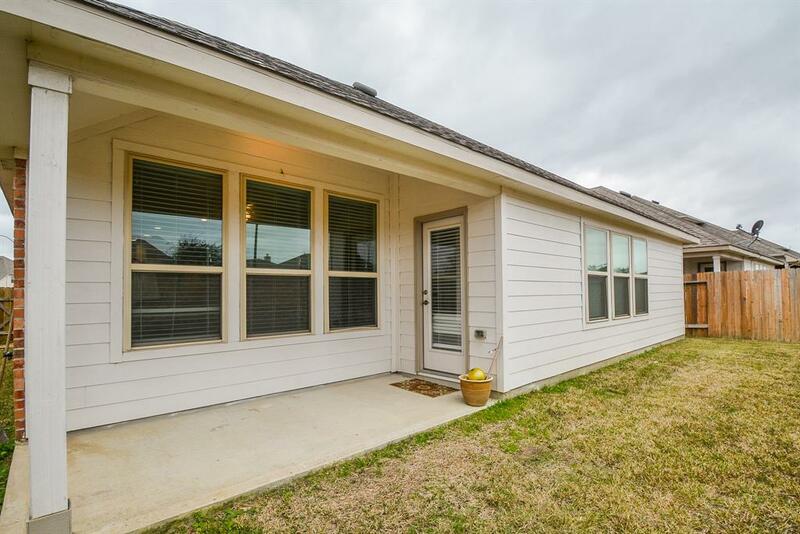 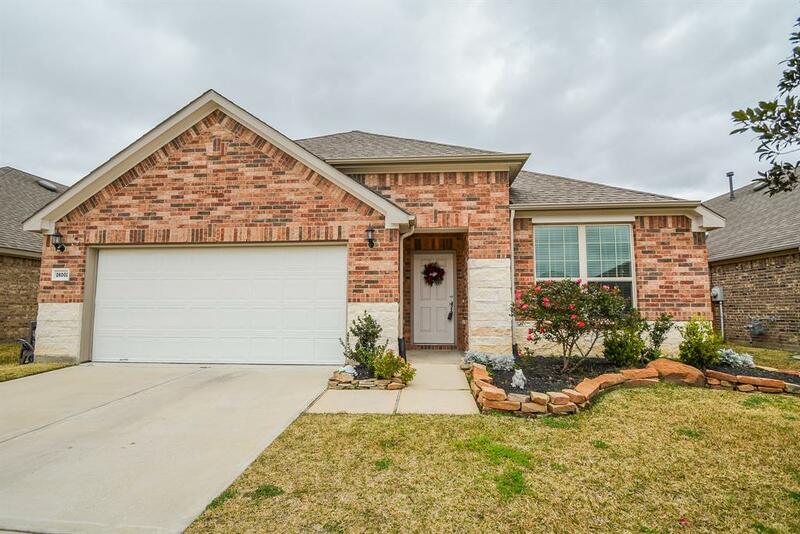 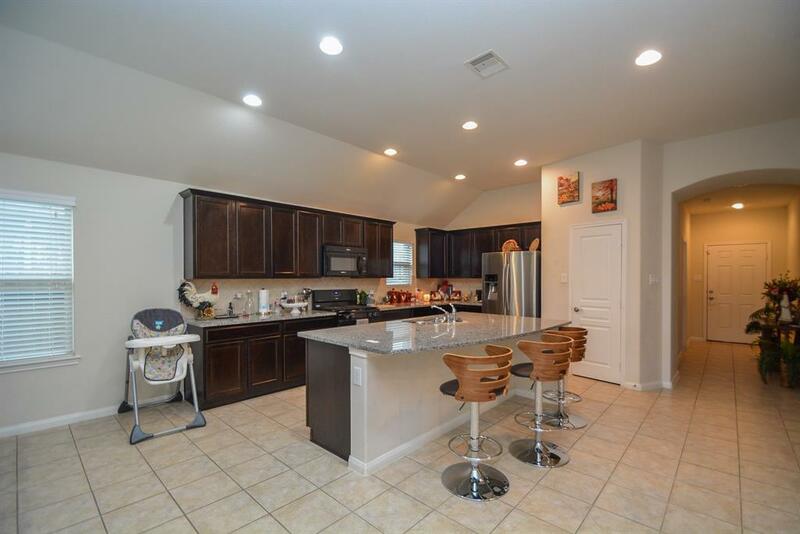 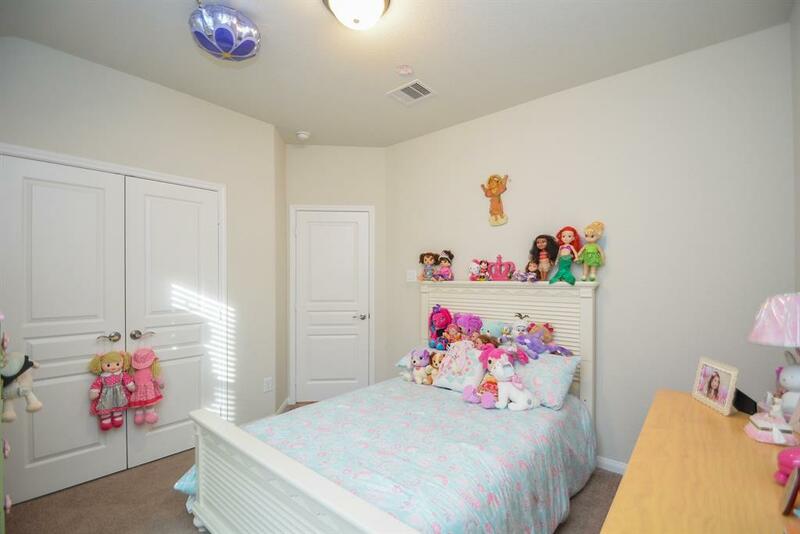 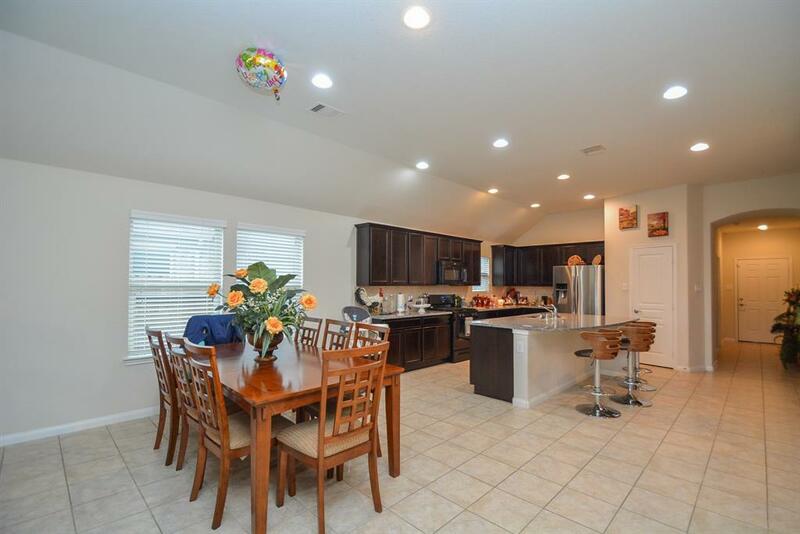 Great One Story House In The Desirable Subdivision Of King Lakes In Katy With Lake. 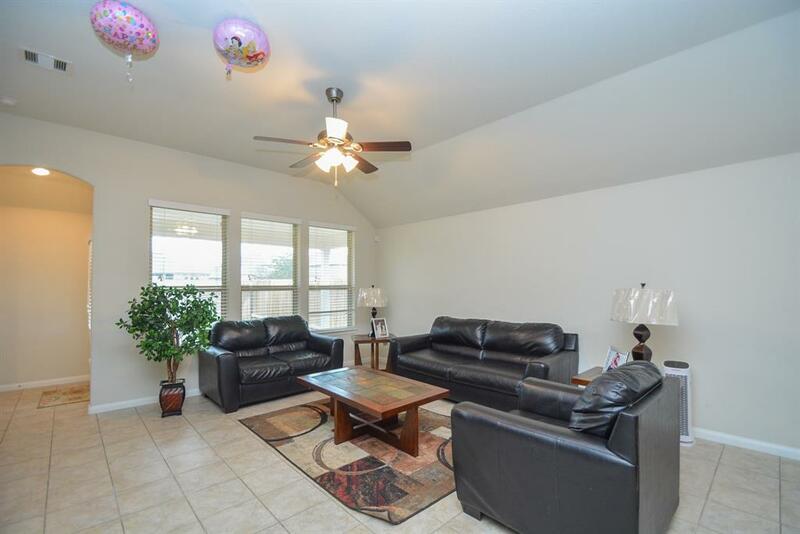 Amenities With Clubhouse, Pool, Tennis Court.. 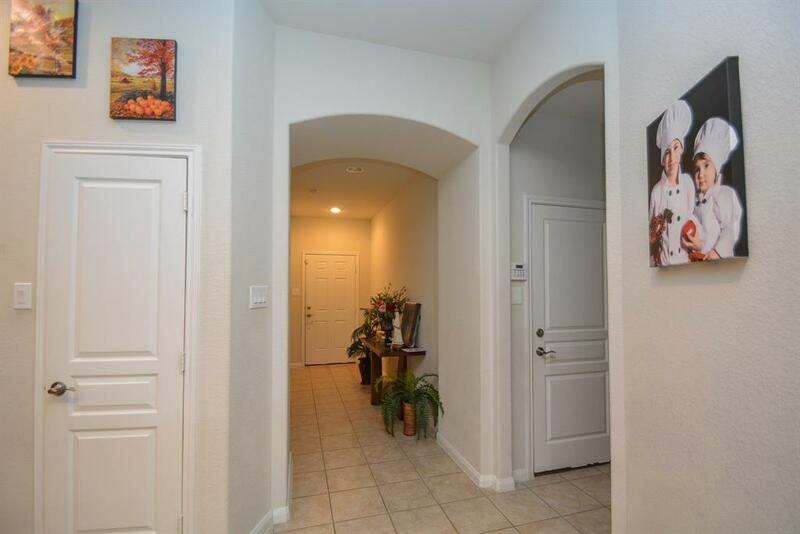 Walking Trails Around The Lakes. 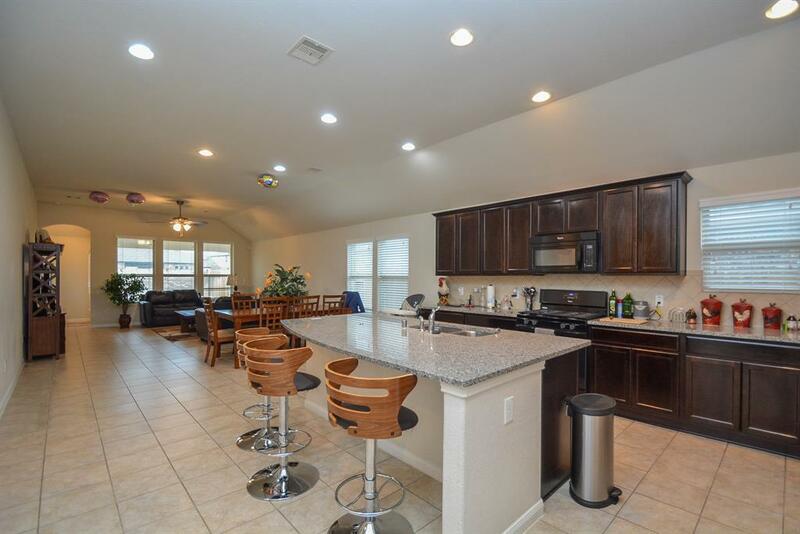 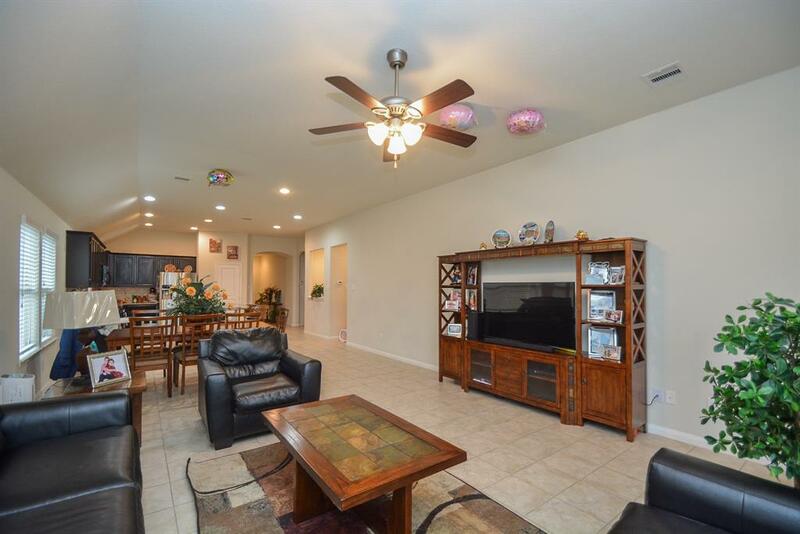 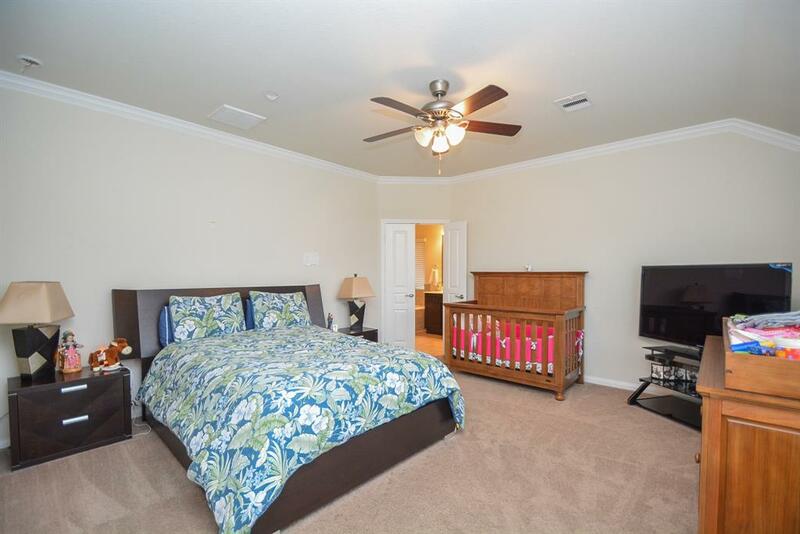 This Open Floor Plan Features 4 Bedrooms 3 Baths, 2 Car Garage. 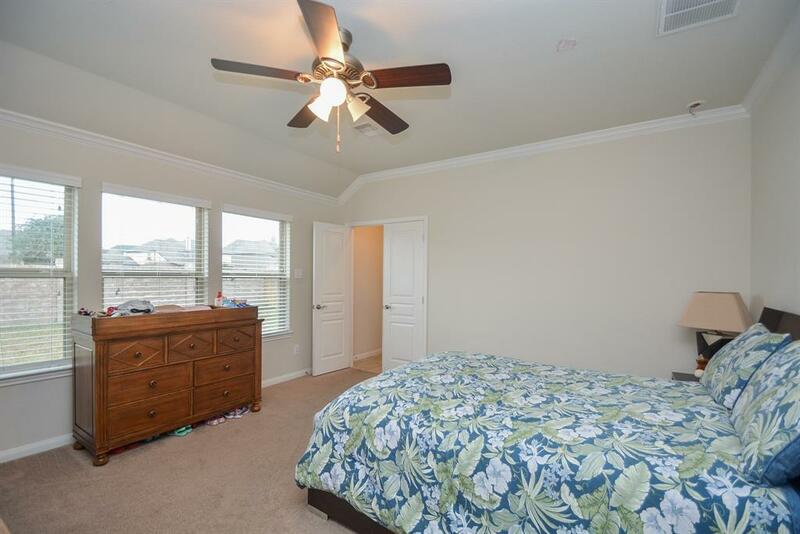 Tile Throughout Except For Carpet In The Bedrooms. 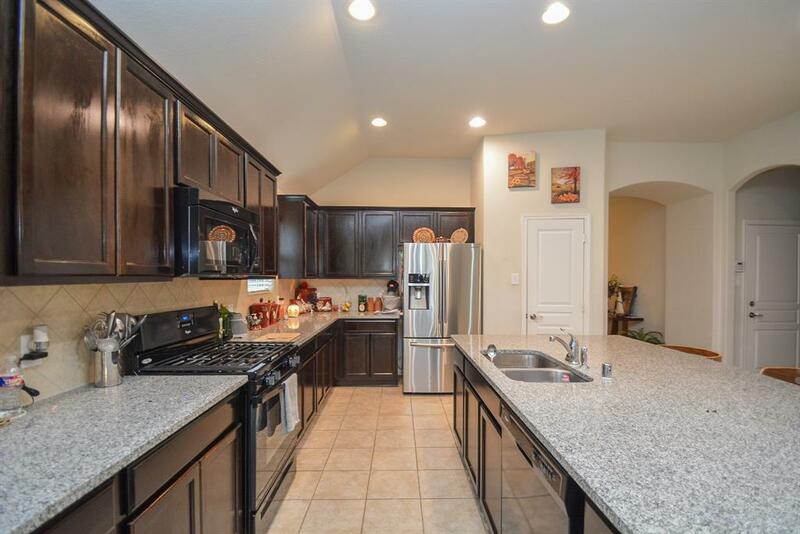 Beautiful Dark 42″ Cabinets In The Kitchen With Island, Granite Counter Top And Black Appliances. 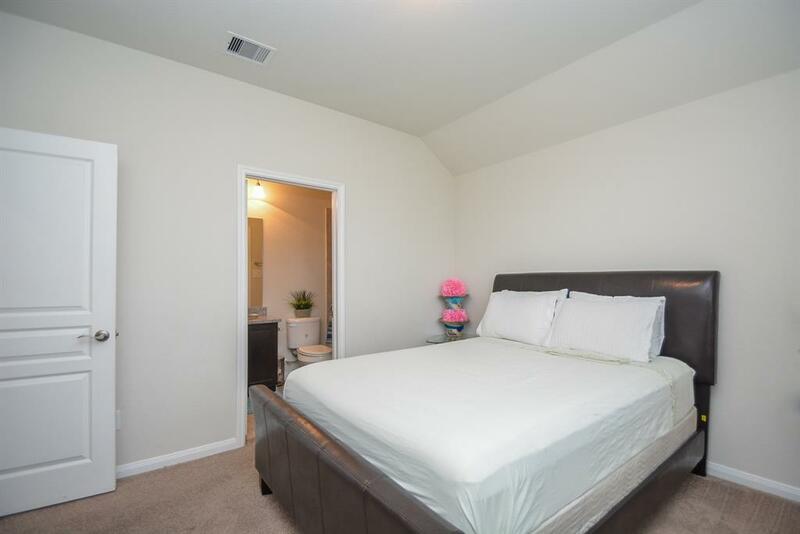 Good Sizes Master Bedroom With His And Hers Walk In Closet. 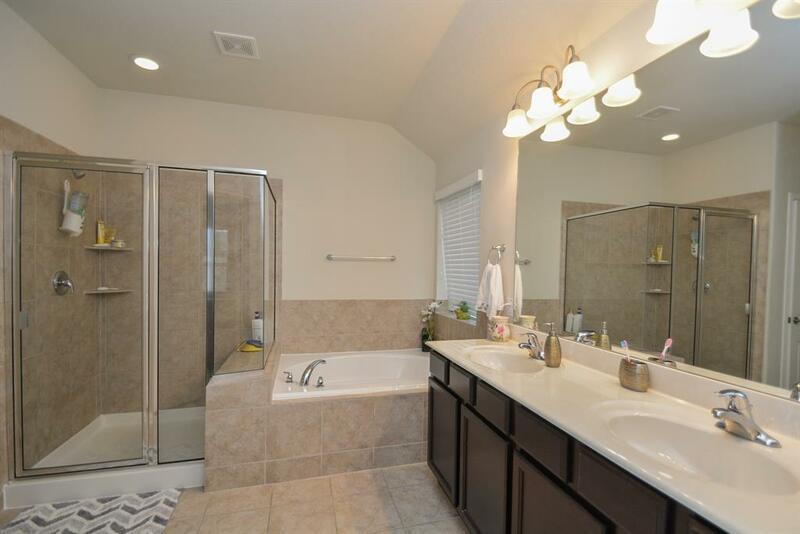 Master Bath With 2 Sinks, Tub And Separate Shower. 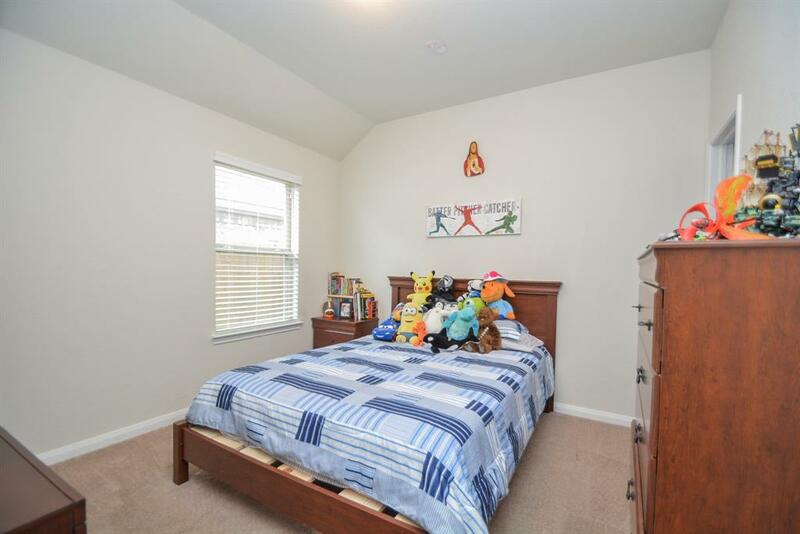 Good Size Secondary Bedrooms. 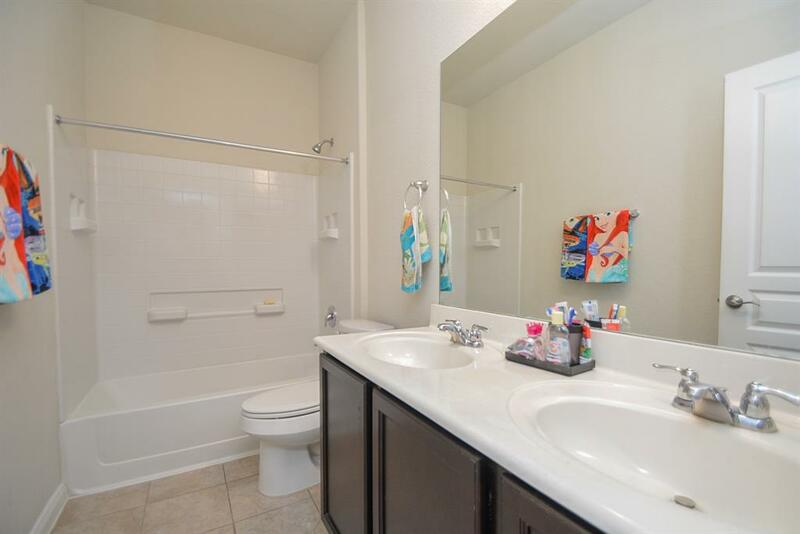 Third Bedroom With Its Own Bath. 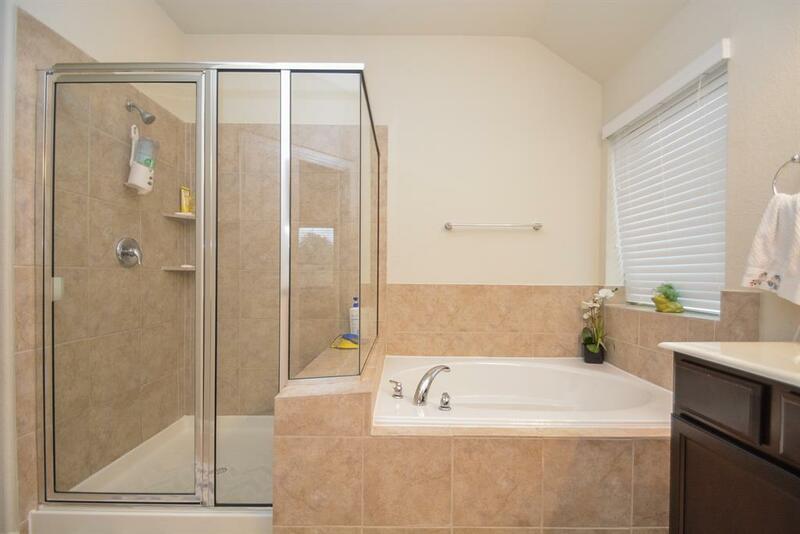 Second Bath Room With Double Sink And Tub. 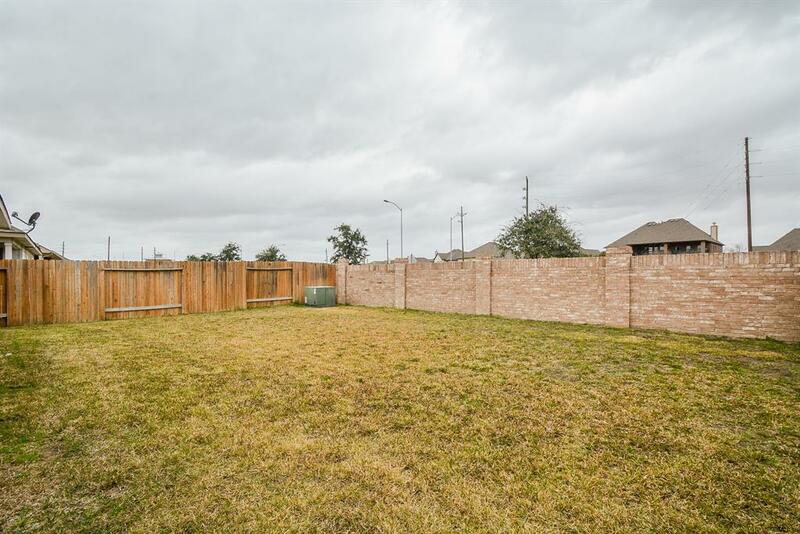 Cover Patio And Sprinkler System Front And Back Yard. 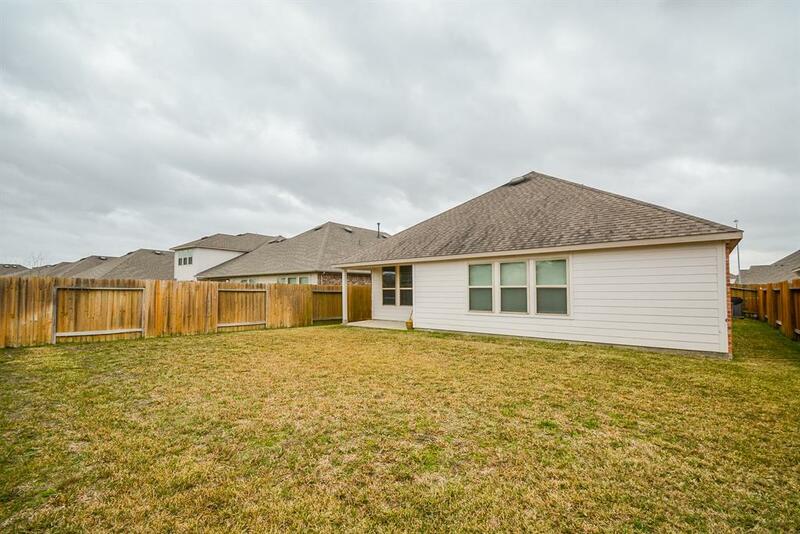 This House Is Zoned To Katy School District. 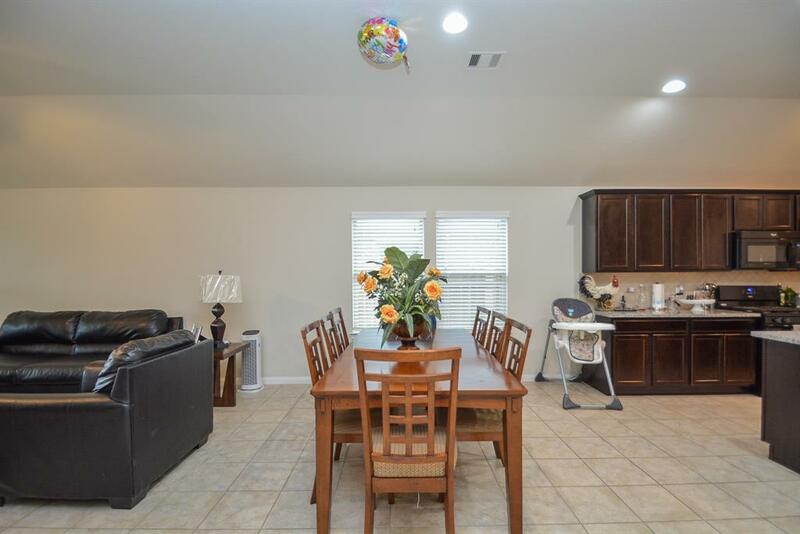 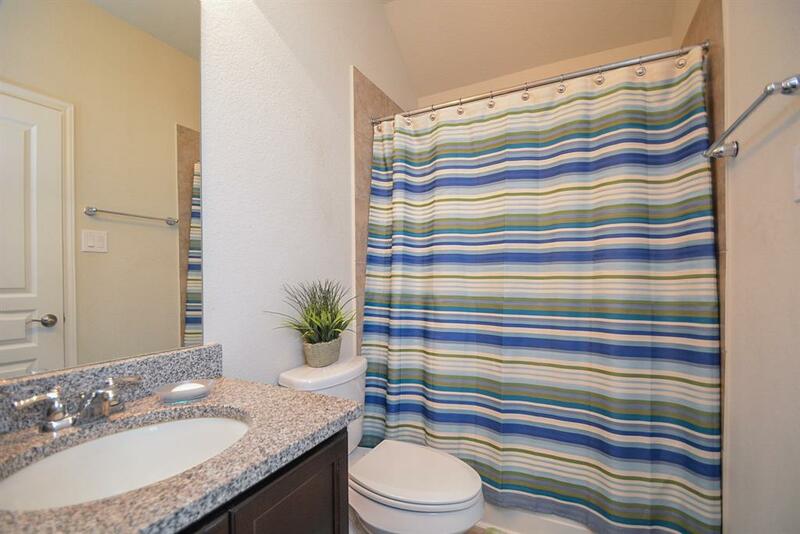 This Location Is Ideal, Close To Shopping, Restaurants And More. 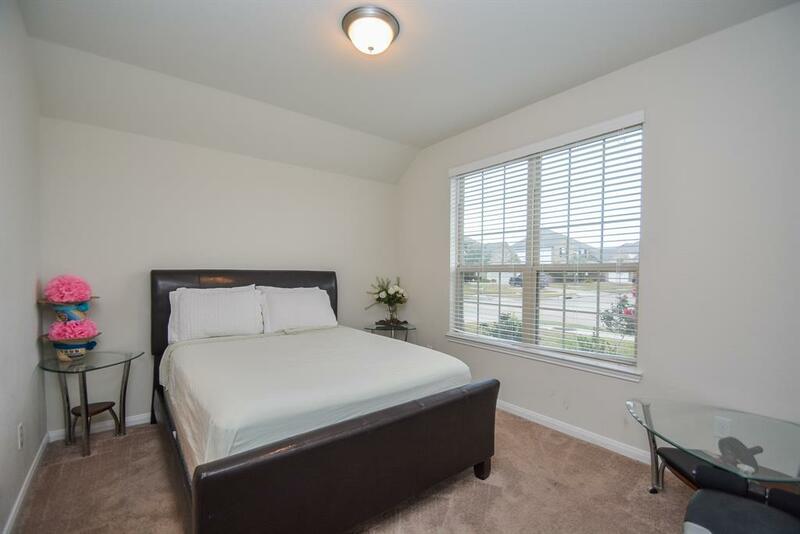 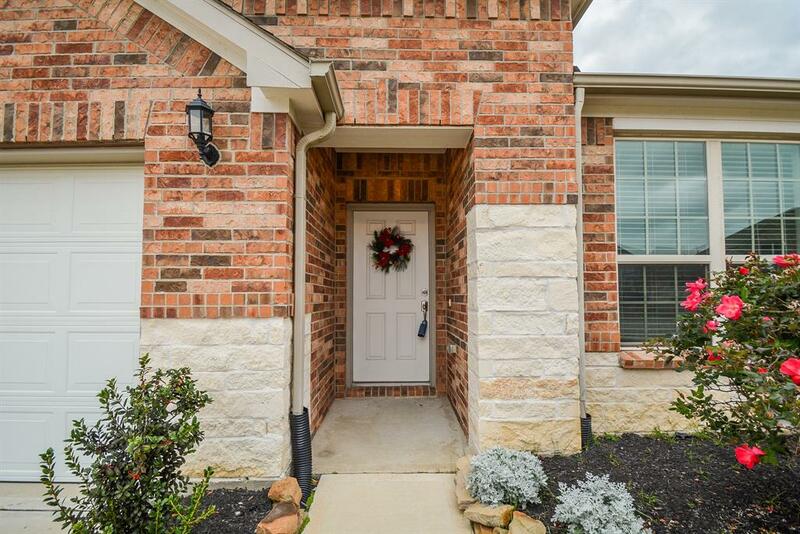 Easy Access To Main Roads, Falcon Landing, Cinco Ranch Blvd, Gaston Rd., West Park And Grand Parkway (99).